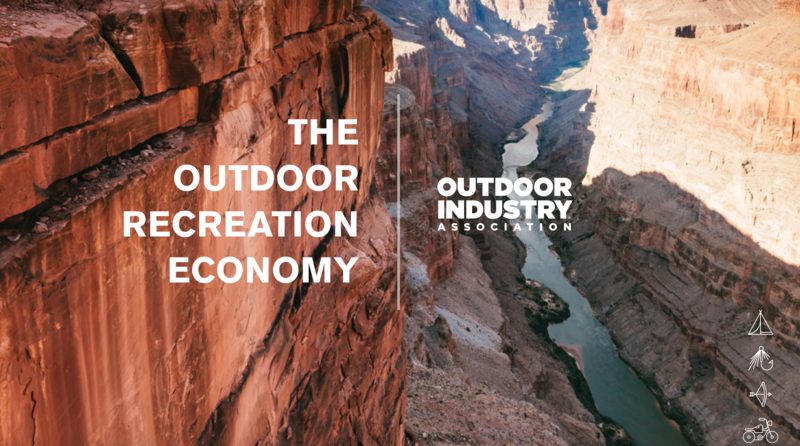 The outdoor industry is one of the most robust and fastest growing sectors of the American economy. 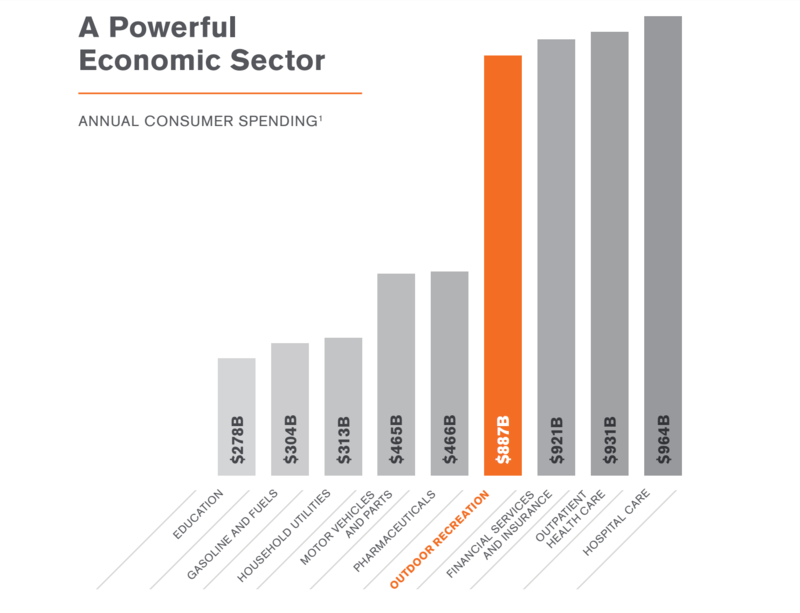 In fact, according to a newly released annual report from the Outdoor Industry Association, consumers of outdoor goods and services contributed a whopping $887 billion to the U.S. economy in 2016 alone. That’s more than the fossil fuel and the pharmaceutical industries combined. That’s in addition, the report goes on to say, to 76 million American jobs, $65.3 billion in federal tax revenue and $59.2 billion in state and local tax revenue. For more perspective, consider the fact that more Americans are directly employed by hunting and fishing alone than in the entire oil and gas extraction industry. 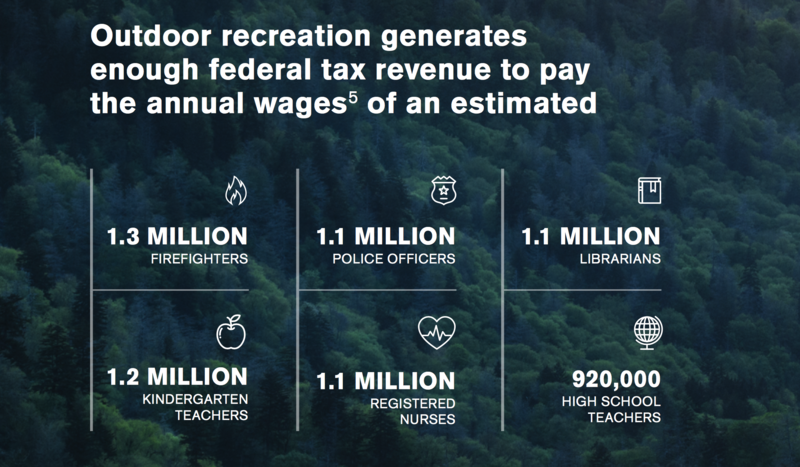 Or, that the outdoor industry employs more individuals in this country than real estate, food and beverage, education, transportation and warehousing, finance and insurance, construction, and computer tech. The report also stresses the importance of public lands to the outdoor economy and drives home the dire need to continue supporting and protecting these lands. It does so by citing stats like those shown below. This week, representatives of the outdoor industry and members of the Outdoor Industry Association are in Washington, D.C. lobbying members of Congress on the invaluable role that the outdoors play not only in the American economy but in the lives of outdoor enthusiasts and their families. They are representing the interests of outdoor consumers like you, but that’s not enough. Whether you’re a fly fisherman, an ice climber, a backcountry skier, a backpacker or a bird watcher, you’ve seen legislators attempt to limit your access to the very public lands that make these activities possible. You may have even witnessed the first hand effects of climate change and watched as those effects made access to your sport harder and less reliable. Stay diligent in the face of these threats and be sure to contact your representatives in Congress any time they arise. Future generations of outdoor enthusiasts will thank you for it.